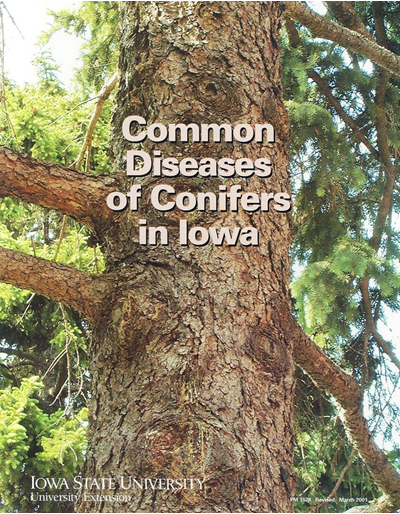 Oak wilt, the most damaging disease of oak trees in lowa, has killed many forest and landscape oaks in the eastern and central United States. 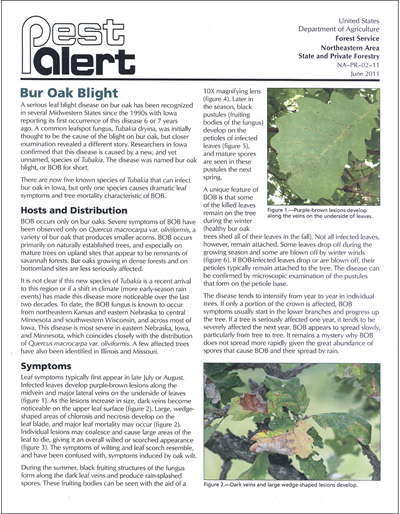 Oak wilt has not devastated its host species, however, mainly because its spread from diseased to healthy trees has been relatively slow and sporadic. 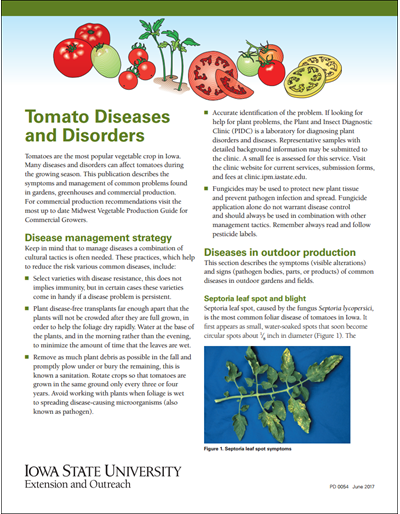 Nevertheless, local outbreaks of oak wilt can kill or injure many trees. 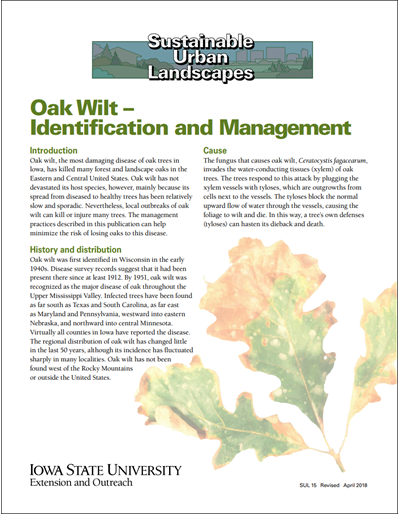 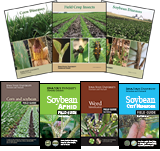 The management practices described in this publication can help minimize the risk of losing oaks to this disease.